I mentioned in my February life update/favourites that I joined a gym last month. I am loving it. It's all part of my plan to get more energy (seriously, naps are my LIFE but I've got to learn to adult sometime, right?) so that I can boss my life, do my best and live life to the fullest. 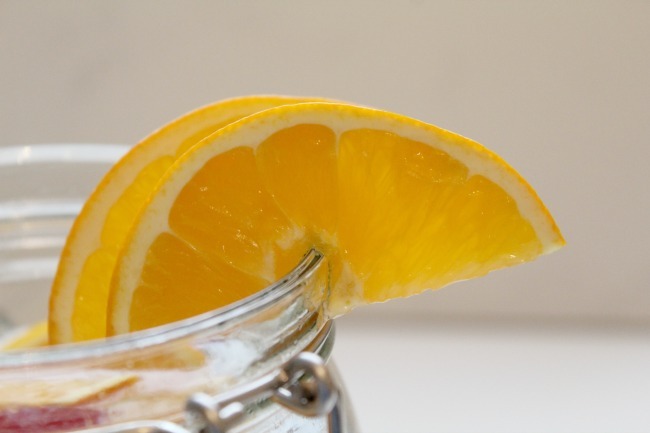 I've started making other little changes too: I've mostly cut out naps so I'm not sleeping too much, I've switched out fruit juice for green tea and I've (mostly) given up the sweeties that give me a quick sugar fix. 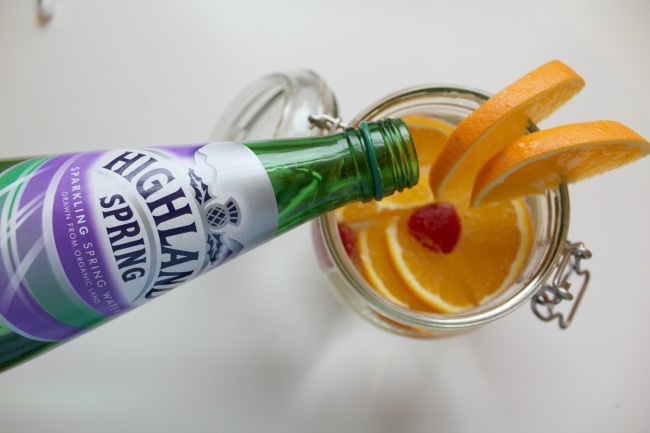 Highland Spring Water recently challenged me to think of ways to spice up my water intake. Usually I'm pretty good on the ol' water front - I think I've had too many hangovers to ever take cold water for granted, mmm - but I know a lot of people struggle with it being a little, well, boring. 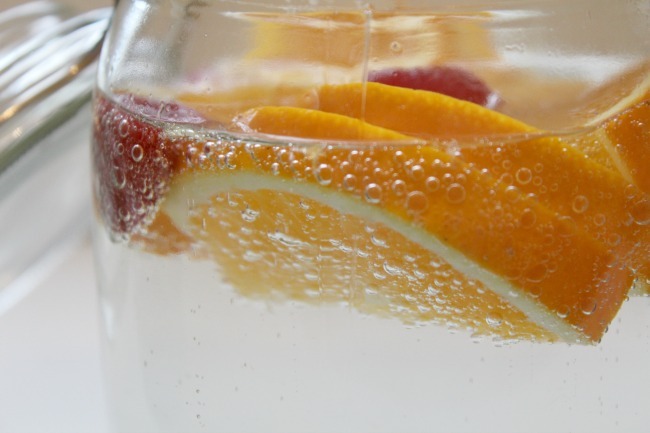 So, I've got two fruity water infused recipes for you all. You could honestly do this with any fruit - I think I'm going to try apple and lime next for a refreshing hit, but these are my two favourites so far. 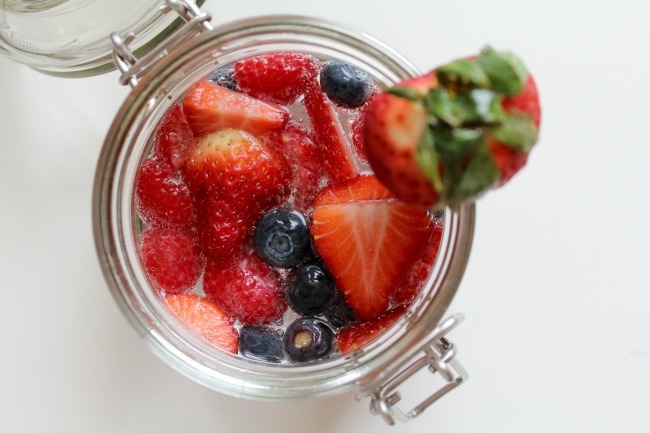 Pop all of the ingredients into a glass or mason jar, swirl around and tear a couple of the raspberries open. 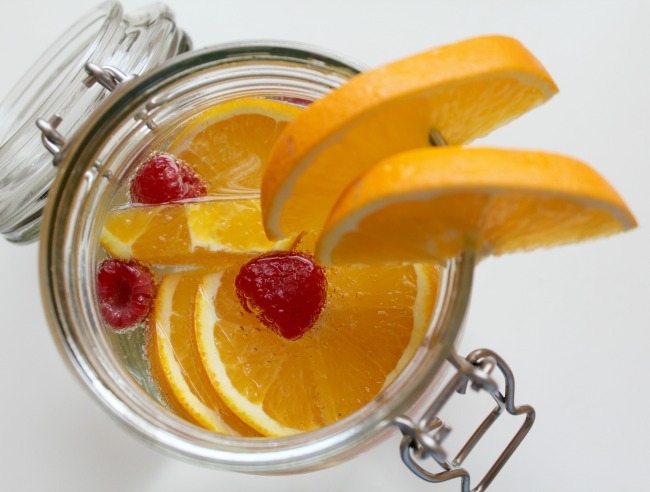 This helps the flavour of the fruit get into your water. This one is great for when you're feeling a bit stuffed up, or want to brighten up a dreary day (seriously, where is Spring?!). This is my favourite of the two because it's just so sweet. 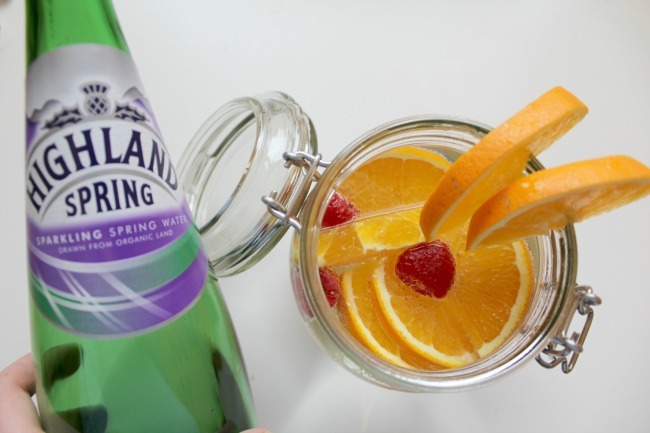 Again, tear open the raspberries a little, and do the same with the blueberries to get some more flavour into the drink. I think the best thing about this is that you get a little fruity snack once you've drunk all of the water! Highland Spring are encouraging us all to pick up more water at the moment, as 66% of people in the UK feel as if they don't drink enough. Use the hashtag #hygreat to get involved in their campaign. I'm a big, big believer in recycling, so I couldn't post this without putting in a note about re-using and recycling bottles. Seriously, I was that housemate at uni that would go through the bin and pick out everything that could be recycled. And then passive aggressively message my house FB group about it, obvs. It's SO easy to pop any recyclables into a box rather than putting them in a waste bin. I try to use glass bottles over plastic, if I use them at all, as they are a little better for the environment. Every little helps and all that. But seriously, there's mountains of things you can do: recycle, re-use or upcycle. Pinterest has a wealth of ideas of cute things you can do to transform your bottles into something hella cute: new blog prop anyone? The amount of plastic bottles we use and throw away is honestly horrifying, and I'm going to *hopefully* be writing a whole post on tips to cut down on it soon. I've been thinking about how many I personally waste recently, so one of my goals for when we go on holiday (in less than a month now, eeeek) is to buy myself and my partner a metal water bottle to re-use every day so that we cut down on our plastic waste as much as possible whilst we're away.